CVS is part of one of the oldest planned communities in the United States. It is a mature community that consists of about 800 townhouses and single family homes resting on the shores of Lake Churchill and Lake Seneca. 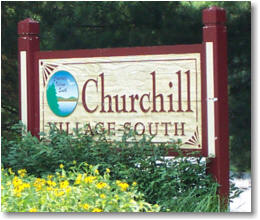 Churchill Village - South was built with families in mind. Walking trails and bike paths criss-cross the entire community, which is immediately adjacent to Black Hills Regional Park. In addition to the lakes, CVS offers a host of other recreation opportunities including playgrounds, tennis courts and two swimming pools. There are two schools within the confines of Churchill Village - South, Lake Seneca Elementary School and Martin Luther King, Jr., Middle School. With Seneca Valley High School nearby, our students can literally walk to school from the first day of kindergarten until they graduate from high school. The Montgomery County Planning Department, part of The Maryland-National Capital Park and Planning Commission, will hold a public meeting to present preliminary recommendations for the Germantown Plan for the Town Sector Zone on Thursday, March 14 from 7 to 8:30 p.m. at the Up-County Regional Center (12900 Middlebrook Road, Germantown, MD). The purpose of this plan is to apply current zoning classifications to this area to replace the Town Sector (T-S) zoning that is being phased out due to the updated county zoning code. Homeowners may make their assessment payment in a variety of ways including by mail, E-check, credit card and direct debit. Visit Vanguard Management's website for information and instructions on how to make your assessment payment. Please note that Vanguard Management Associates, Inc. does not monitor third-party websites, does not endorse and is not responsible for the content, security or products and services offered on other websites.